It turns out that the Lincoln Business Improvement Group (BIG) have been appealing to the Highways Agency and then finally through their MP to Parliament for brown signs on the A1 for over 25 years! Their frustration over the issue is not uncommon and I receive a lot of emails from attraction owners and managers who have ongoing issues around the rules that govern the allocation of brown signs. I think the issues arise mainly because, unlike other road signs, brown signs are erected not to indicate road numbers, directions to towns and cities or to forewarn of hazards but to direct road users simply to places of tourist interest. The authorities are keen to stress that these signs should not be used for advertising purposes or to promote a destination, they should simply aid road users in the final stage of their journey to an attraction. Strict planning and safety controls regulate allocation of all traffic signs and in a recent estimation by the Department for Transport there are around 2.5 million signs lining the 245,000 miles of roads in the UK. Keeping within strict planning rules and to minimise street clutter, deemed at best to be ugly and at worst downright dangerous, it is understandable that local councils and the Highways Agency want to keep authorisation of any new signs to a minimum. There have however been significant difficulties for both tourist destinations and the authorities since deregulation of brown tourist sign rules came into force in 1995. These new rules were outlined in an updated version of the Traffic Sign Regulations and General Directions (or simply “regs” for those in the know) after calls from the tourist industry that the criteria an attraction needed to qualify for a brown sign were too stringent, i.e. a minimum number of visitors per year and specified opening times etc. Instead of adjusting the rules slightly the government re-classified eligibility for tourist destinations completely, but with criteria so loose it’s easy to see how issues have developed. The definition for a tourist attraction in the current TSRGD is, rather bizarrely: “A permanently established destination or facility which attracts or is used by visitors to an area, and which is open to the public without prior booking during its normal opening hours”. Clearly that definition throws up a whole world of potential brown sign contenders (an issue which is now thankfully being addressed in the new consultation of the Traffic Sign Regulations and General Directions 2015) and has lead to a burden on local councils and the Highways Agency to authorise brown signs under, um, interesting interpretations of the rules. Despite presenting a technically valid case under the 1995 definition, some clearly do not fit with the general idea that a tourist destination should offer some sort of cultural or heritage interest and have interpretation and engagement elements that promote a better understanding of place. As such, and thankfully these examples are relatively rare, my attention has been drawn to a number of authorised brown signs pointing to supermarkets, fast food establishments and shopping centres across the UK. I’ve bemoaned this fact before on the blog so I won’t go over it again, but when I came to look at the Lincoln case it seemed so strange that the opposite issue seemed to be true, the historic city was apparently deemed ineligible for a brown sign by the Highways Agency despite its famous cathedral, Norman castle, Roman heritage and well preserved medieval buildings, as well as being home to one of only four surviving copies of the Magna Carta! 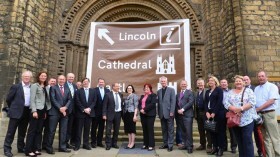 I spoke to Matt Corrigan, Chairman of Lincoln BIG, who has become quite the brown tourist sign aficionado of late, travelling to cities around the UK and taking photos of the brown signs (just like me!) pointing the way to other historic cities off our highways. He took photos in Gloucester, York, Exeter and Canterbury, not to mention the many other historic towns and even villages which all have brown sign status. Armed with the evidence and with the backing from MP for Lincoln Karl McCartney they finally got ministerial agreement to authorise brown signs on the A1 in May, and Mr Corrigan was understandably feeling vindicated when I spoke to him. 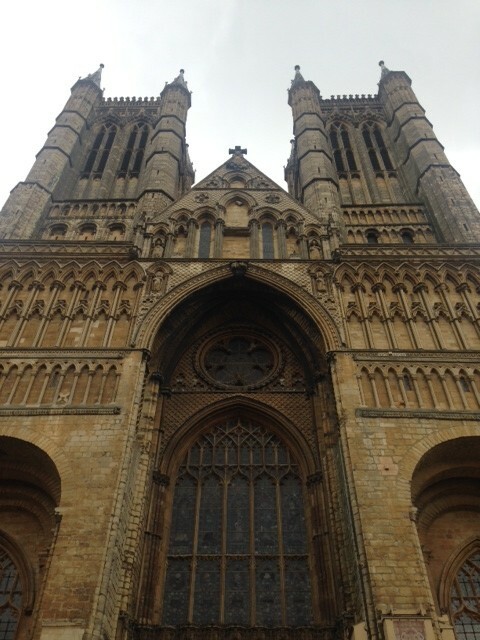 What he felt most strongly was not just that more visitors might visit Lincoln as a result of seeing the brown signs but also that they gave the city it’s rightful status as a significant tourist destination, and rightly so too in my opinion. The thinking behind the very first brown tourist signs in the 1980s were not just to signpost attractions. During the era of new road building between the late ’50s and mid ’90s many new roads began bypassing previously thriving towns and communities. The bypasses were great for alleviating heavy through traffic in town centres but not so good for the towns’ economies, and many became ghost towns when the new roads were built. Signs, it was argued, could inform the motorist that places of interest were just off the main road, without using them as through routes and clogging up the roadways into town, interested visitors could turn off the road and enjoy them, helping to boost the local economies. This is another reason why I am flummoxed by the difficulty Lincoln had in getting brown signs on the A1, with so many travellers between London and Edinburgh passing through Peterborough, Stamford, York and Durham, to name just a few great cities along the way, you could suppose many of those going exploring using the A1 would be likely to want to visit to Lincoln too, if only they were aware it was there! Lincoln Cathedral was built from 1088 and finally completed in 1092. It’s suffered a fair few mishaps in its 926 years since the first brick was laid though, including damage by a serious fire just 2 days before it was first consecrated in 1141, then just after it was rebuilt it was almost completely destroyed in one of Britain’s largest earthquakes forty four years later in 1185. Its monumental spire made the building the tallest in the world for 249 years, exceeding even the Great Pyramid in Egypt until it too collapsed in 1549 never to be built as high again. The huge cathedral has been in a permanent state of rebuilding, with additions and expansions happening until the 19th Century, including some newly restored beautiful rose “eye” windows. The addition to the cathedral I was most looking forward to seeing were the Medieval and Christopher Wren libraries built above the cloisters to house the cathedral’s scholarly books. If time allows I’ll happily hang around in a second hand bookshop for hours on end opening old books, reading dedications, picking out intriguing paragraphs, pushing my nose into the pages and inhaling hard, sucking in that lovely old smell and imagining how many people had turned and enjoyed those pages before me. Being in a library gives me the very same urge but sadly also much more chance of being shouted at by a librarian. And none more so than in the Lincoln Cathedral library, some of these manuscripts are older than the cathedral itself, and even inclue works by the Venerable Bede (who also happens to be one of my favourite monks ever). The library still houses some of the original medieval reading tables complete with chains that would have been attached to the books to keep them firmly within the library walls. The library by Sir Christopher Wren was commissioned in the mid 18th Century by the Dean to house his 5000 plus books, which he eventually bequeathed to the cathedral library. After my cathedral visit I explored the cathedral quarter, home to the castle, Medieval Bishop’s House and age-oozing 13th Century Jew’s House, which the aptly named “Steep Hill” leads down to. Lined by crooked buildings, art galleries, second hand bookshops (win!) and tea rooms galore that warrant lots of stops during your excursion the street is worth a visit in its own right. Next stop for me though was the Collection and Usher Gallery, a compact but well designed archaeology museum and art galley in one. Well, actually they are two buildings blended seamlessly together with a particularly good coffee shop in between. 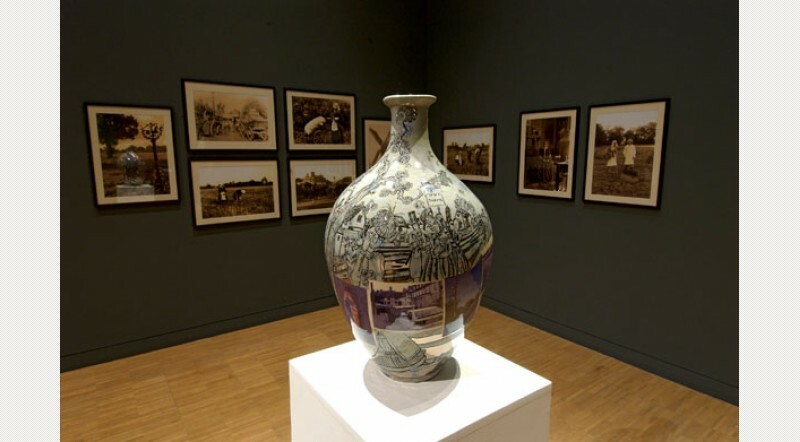 I especially wanted to see the Grayson Perry vases bought by the gallery with help from the Art Fund (insert big heart here) and the horology collection bequeathed by James Ward Usher. 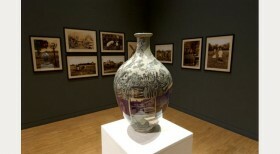 Perry’s vessel depicts an alternative vision to the rural idyll and was made for the “Charms of Lincolnshire” exhibition curated by Perry in 2006. Perry cryptically describes the work like this: “often our vision of rural life is mired in the pre-industrial age. The Victorian era is a popular setting for sexual fantasies as well. The snapshots show typical rural sights today.” I’m no fine art interpretor so I just feasted my eyes on the detail and craftsmanship of this genius potter and walked around studying every detail for ages and loving it. The clocks and watches didn’t disappoint either and I tagged unsubtly onto the back of a guided tour to learn more about the intricacies of making wind up watch mechanisms. After an all too brief toe dip into Lincoln’s great history and architecture in the cathedral quarter I spent half an hour pootling around the town centre looking for my car, the location of which I’d made apparently no effort to memorise, but once found happily followed signs to Ellis Mill. Despite not being open as it wasn’t a milling day (it still mills!) 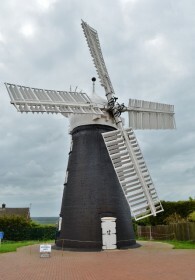 I really do love hanging around windmills, especially ones which were nearly demolished in the 1970s but were thankfully saved by a group of local windmill enthusiasts, just like this one. So I stood there wanting to hug it while having my big curly barnet violently coiffured into an afro and illustrating in no uncertain terms why the windmill had been built where it had. I then set off for some brown-signing proper (spotting a random brown sign and following it, no pre-googling) and soon clocked the brown sign for Whisby Nature Reserve. 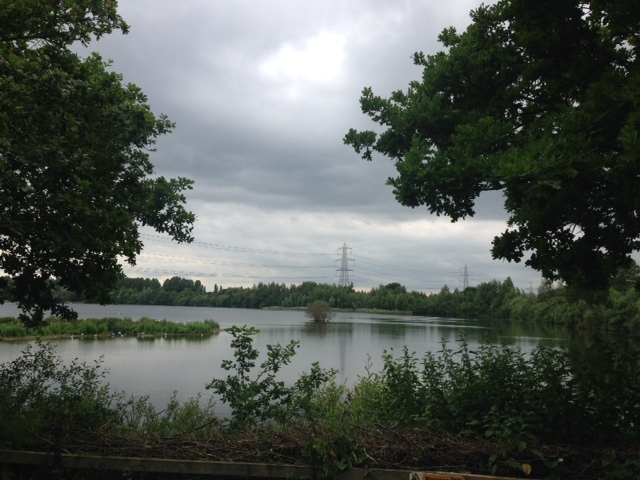 On pulling into the car park I was rewarded by the sight of lakes and birds and people with dogs walking around a former gravel pit that nature has reclaimed as its very own. There over 2,800 species of wildlife to be found here and the reserve has proved popular with wildlife enthusiasts and locals alike. 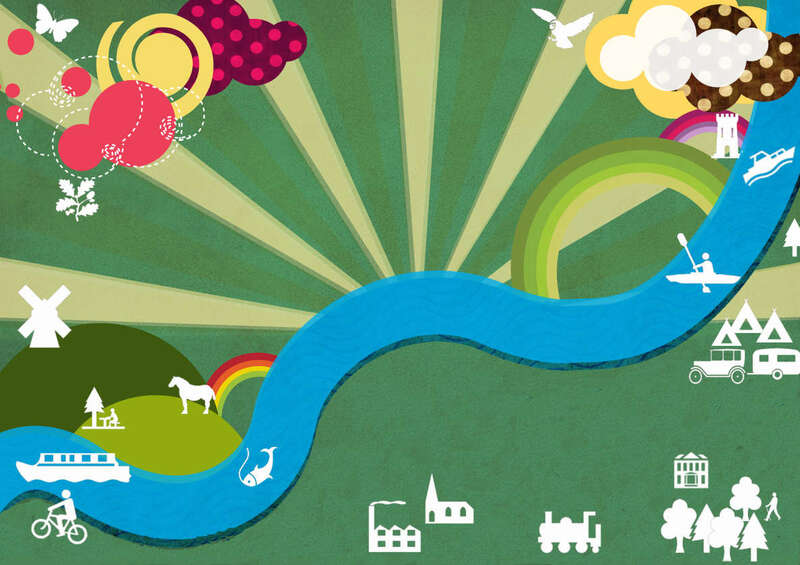 Twenty fourteen is the reserve’s 25th birthday and since its opening the land which were once barren and desolate has been transformed through the dedicated work of volunteers and wildlife organisations, encouraging nature and wildlife to thrive there. And what a joyous little oasis of nature it is just outside Lincoln’s urban city centre.